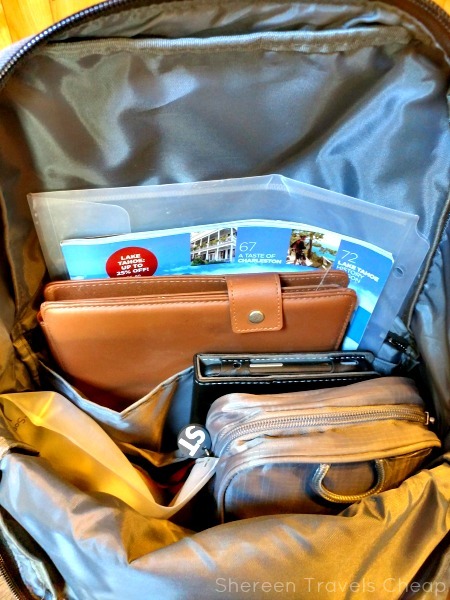 I'm always on the lookout for multipurpose travel items, and I was pleasantly surprised by the number of awesome items I saw at the Travel Goods Show earlier this month. Lewis N. Clark has been designing fantastic new bags each year now that they have branched out in their products and I've got one to show you that may just change the way you travel. Are you one of those people who wish all bags could expand and be more useful whether you're traveling or just living your regular life? The new Secura Destinations messenger converts into a backpack and I'm loving it! 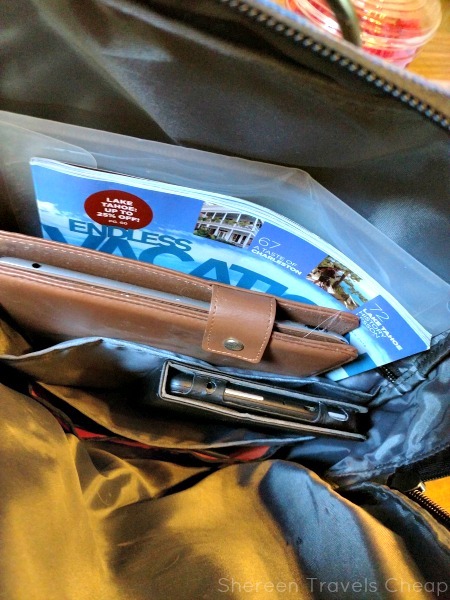 Use it as a messenger on the plane and around town and then convert it to backpack when you're out and have purchased a little more than you want to carry or on your way back home. The look of the bag is very attractive. It has classic colors that work for everyone and the design is sleek, so it doesn't matter if you're using it for work, travel or a trip to the zoo. It looks great everywhere and it won't target you as a tourist. Let's look at how the conversion works. While most bags that have this feature have different straps, the messenger uses just one strap, so there's nothing to lose. The strap has anti-theft slash-resistance, is adjustable, and wide enough to be comfortable, but not too wide as to be annoying (you know what I'm talking about). 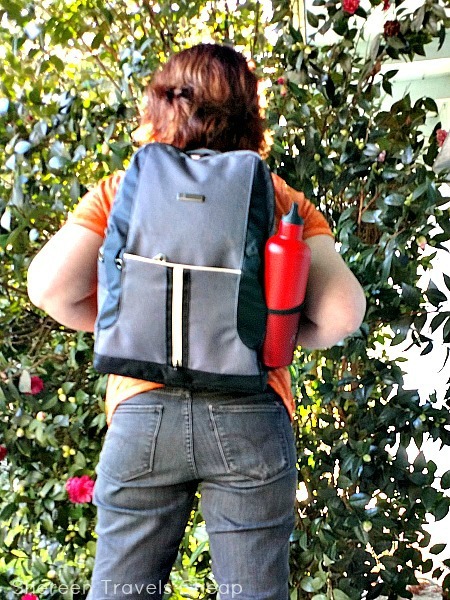 Use the top rings for wearing as a messenger, but move the strap to the bottom rings when wearing as a backpack. 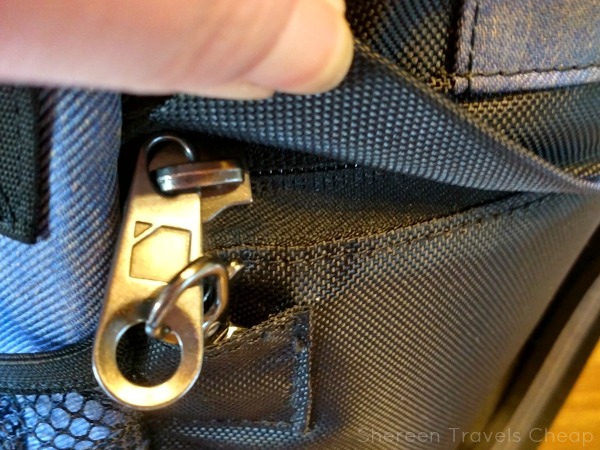 The awesome ring on the front of the bag unclips to allow you to unfold your bag. 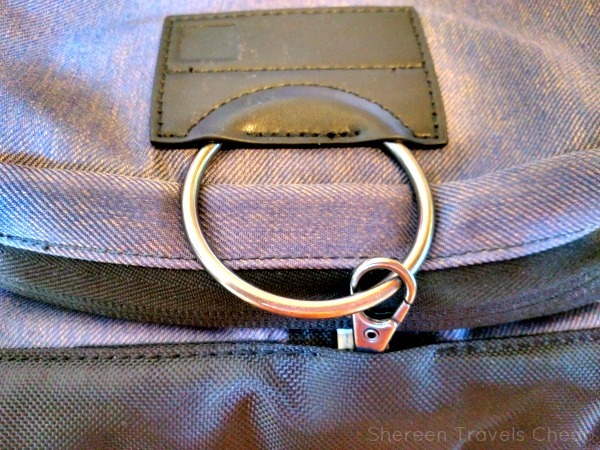 The shoulder strap then slips through the ring and it fits comfortably against your back. As you can see, it's not too big and it's not too small. or a snack for work. 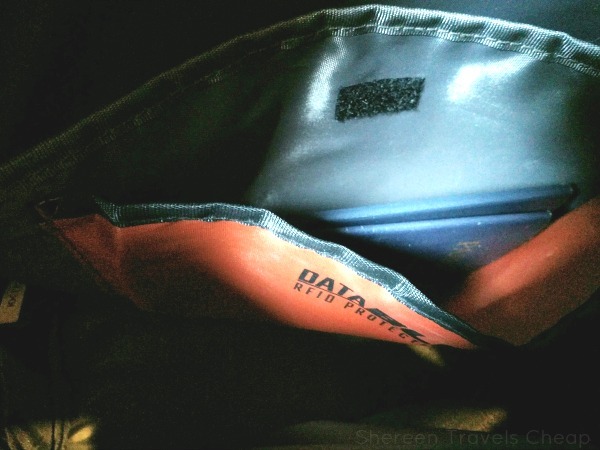 There's a large RFID-blocking pocket for passports (and both of ours fit in there with room to spare). 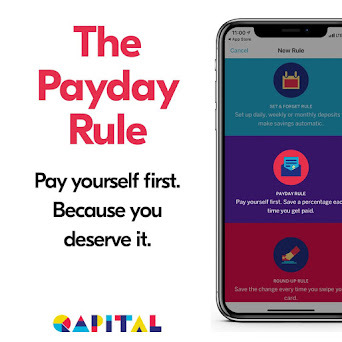 I have been using it for my credit cards, because this is a big problem in public spaces. . 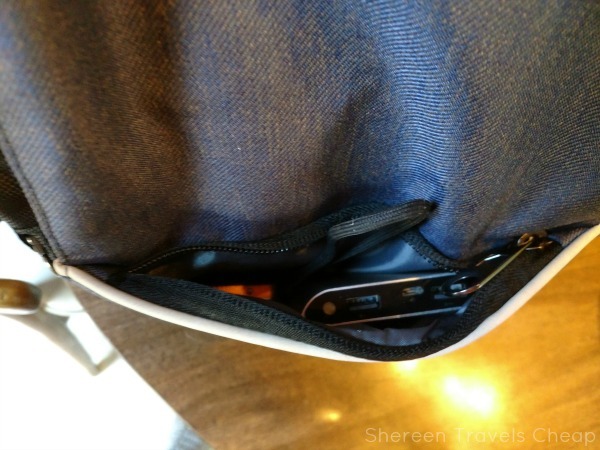 There are two larger pockets. One meant for your tablet, though you can use it for anything you want, and one that works for a larger tablet or laptop when used as a backpack. 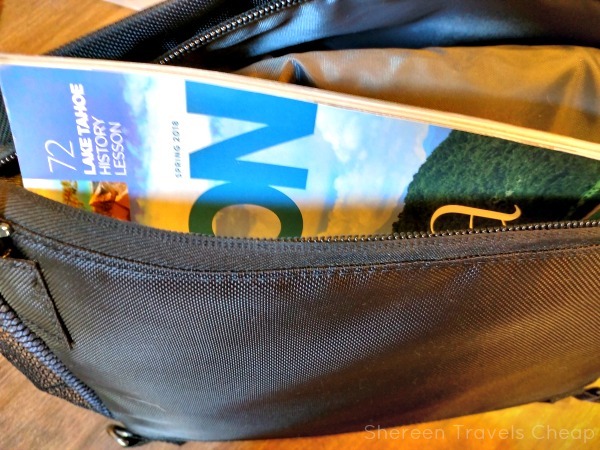 I fit an entire magazine in there, but for travel it will probably get used for paperwork, because it fits really flush against the back of the bag when being carried as a messenger, so everything will stay neatly together and you won't find receipts and confirmation pages spilling out into the main bag. 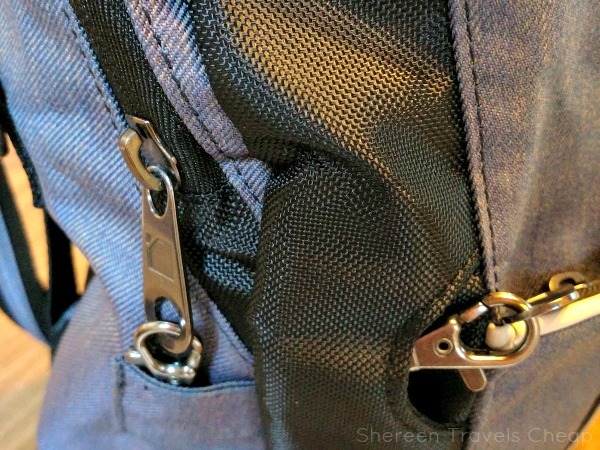 I also love the lip on the zipper, making it more water-resistant and also making it difficult for anyone but you to know where the opening of your bag is. The locking zipper makes it even more secure. 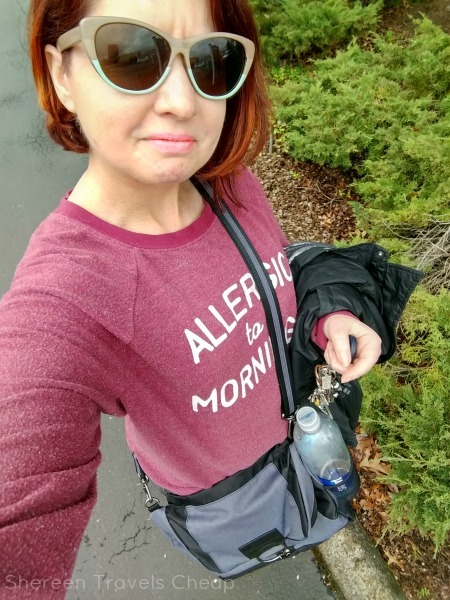 As a backpack, this bag has a ton of potential space, but only a few different sections, so you can keep things separated, but not have too many pockets to take up unnecessary room, like some bags. I packed it like I would if I were taking it on the plane and it fit quite a bit of stuff in it. Though my laptop didn't fit in it (it's very large at 17"), it will fit most other laptops up to 15". Instead I used it for our big tablet and my pouch for paperwork and receipts and a spare magazine. The middle size pouch is the perfect size for my smaller tablet. 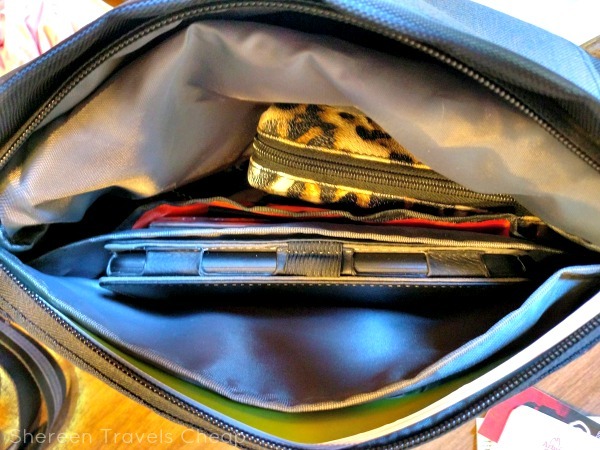 Everything else I like to keep with me on flights also fits: my toiletry bag, my 3-1-1 bag, things I normally have in my purse, a wrap and snacks. 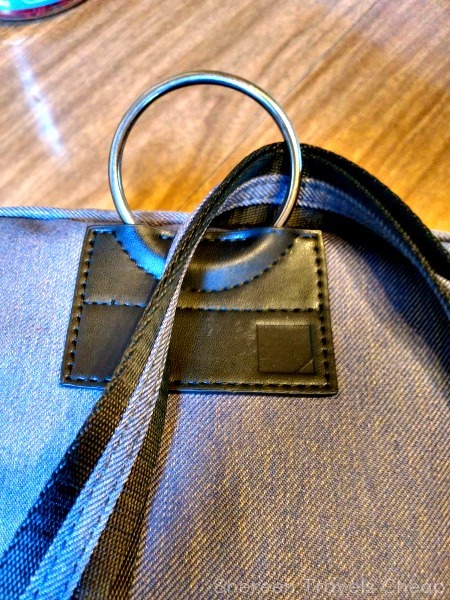 The front of the bag has a great pocket for things you want to keep close at hand. I tossed my battery back-up in there and my camera. It also has a locking zipper. This is an excellent pocket for all the things you have in your pants pockets when going through security. Shove it all in there and zip it up and then you don't have to put it all in a bowl. Need a bottle of water to take along with you? 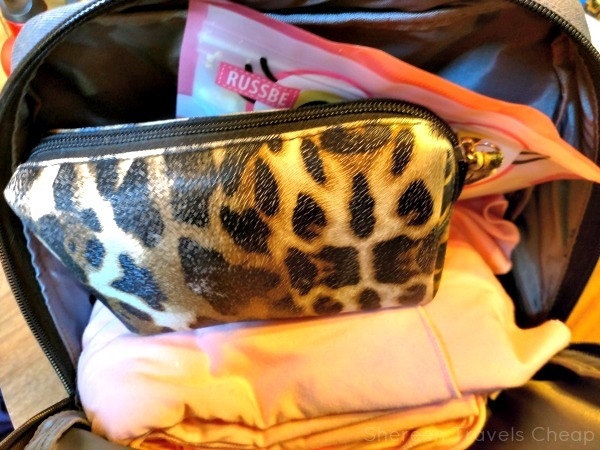 We always have one with us when we travel or are out for the day, so the mesh pocket on the side of this bag is a lifesaver. Although I don't mind putting it inside my bag if I have to, I'd rather it not take up space if it's not necessary, plus Eric can get it when he's thirsty without asking me for it. I can't wait for my next trip to show you how fantastic this bag works as a personal item size. It's going to be a home for all my electronics and snacks and it's going to be very comfortable to carry in addition to my other bag and keep my hands free for shopping at the airport and using my phone. Who doesn't need a multipurpose bag like the Secura Destinations Convertible Backpack/Messenger? 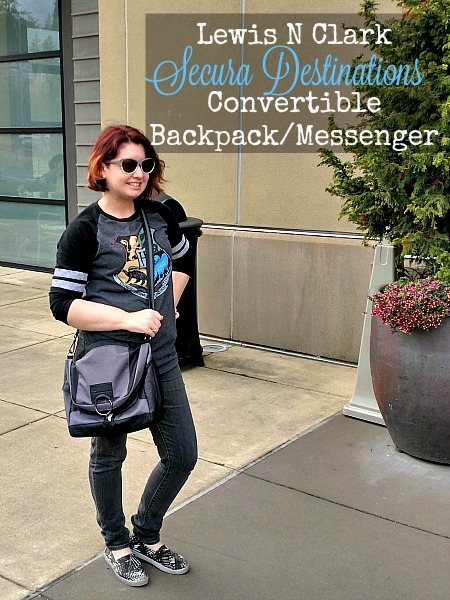 Disclaimer: I was provided with the convertible backpack/messenger for the purposes of this review, but all opinions are 100% my own.